Happy reading. It is nice to tackle the TBR pile. Doesn't it feel great when we get to attack that TBR pile? I hope you have a great week of reading! I need to make progress on my TBR! Enjoy your new book! Slow weeks are good. Tackling a TBR stack is a great feeling. I know what you mean about the TBR pile. Mine is a little ridiculous right now. I hope you enjoy this book! A Bouquet of Love looks like it will be a nice read. Enjoy your week! 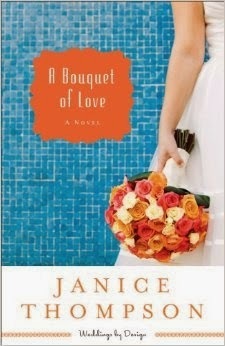 I like the bouquet on the cover of your new book. Hope you enjoy your read.